How Much Tooth Yellowing is Natural with Aging? There are many causes of yellowing teeth. Common causes include certain foods and beverages - coffee, tea, red wine, tomato based foods, curries - and lifestyle habits such as smoking. Your oral hygiene habits can also cause discoloration. What you may not know is that some tooth yellowing is normal and is caused simply by aging. What Causes Your Teeth to Yellow with Age? You've spent years taking good care of your teeth. You've never had a problem with their color. Then suddenly, as you start to get older, you notice them getting more yellow. You may be wondering why this is happening or what is wrong. The truth is, the yellowing that you are experiencing is completely natural. As you get older, the enamel layer of your teeth (the hard, outer surface) begins to wear away. As it does, the dentin layer underneath becomes exposed. This layer, that houses hollow channels that lead to the roots of your teeth, is naturally darker in color than your enamel. While normal, it can make your teeth look unhealthy, even if they are perfectly fine. Some yellow discoloration is completely normal. However, if you frequently partake in foods and beverages such as coffee, red wine, tomatoes (or foods with tomato bases) and/or curries, or you are a smoker, you may notice more than just a little discoloration on your teeth. If your yellowing teeth are making you self-conscious, there are things you can do. 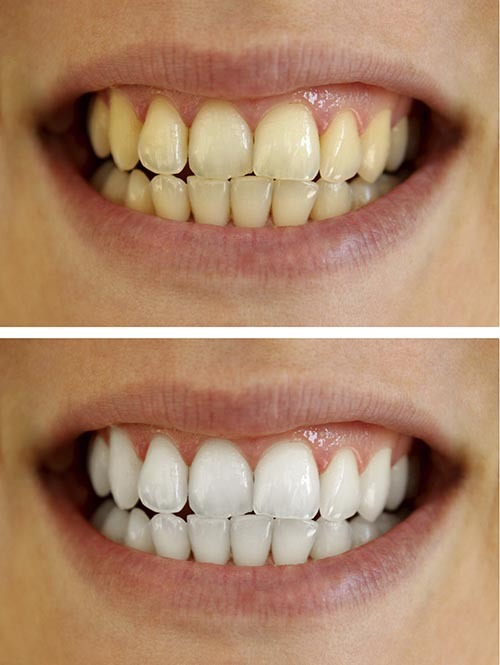 It is important to note that whitening options (which are popular for dealing with discoloration) will not be effective. This is because whitening products work to remove stains from your enamel, such as those caused by foods, beverages or lifestyle habits. Yellow teeth from aging are not stained. Instead, the enamel needs to be "resurfaced." One of your best options is porcelain veneers. If yellow teeth from aging are interfering with your confidence, contact our office to learn more about porcelain veneers and how they can help restore your smile.